Pickering is already 15 years past its best before date. It's the fourth oldest nuclear station in North America and the seventh oldest nuclear station in the world. Given its age, it is not surprising that Pickering is one of the most unreliable and poorest performing nuclear plants in North America. Ontario could save money, increase public safety and create jobs if it closes the Pickering Nuclear Station when its operating licence expires on Aug. 31, 2018. Yet, the Liberal government has approved plans to extend Pickering's operating life to 2024. Pickering is already 15 years past its best before date. It's the fourth oldest nuclear station in North America and the seventh oldest nuclear station in the world. Given its age, it is not surprising that Pickering is one of the most unreliable and poorest performing nuclear plants in North America. Or that is has the highest operating costs of any nuclear station in North America. Best before dates are important -- not only for the milk you drink but also for the nuclear plant you live by. Pickering is surrounded by over 2.2 million people who live within the 30-kilometre high-risk zone. The Liberals are rolling the dice on a nuclear station that is surrounded by more people than any nuclear plant in North America. While it is possible to eat food past its best before date -- my kids complain about my inability to waste dated food -- it might not be such a great idea to gamble with the best before date of one of the largest nuclear stations in the world. This doesn't pass the sniff test. While Kathleen Wynne chooses to gamble on Pickering, New York Governor Andrew Cuomo is calling for the closure of Indian Point nuclear station north of New York City. It's Number 2 on the nuclear population list. Governor Cuomo is putting safety first. The Liberals argue that extending Pickering beyond its best before date is necessary to keep the lights on. Although I support utilizing nuclear facilities until their end of life date, the Liberal argument for Pickering simply doesn't add up. The Liberals seem more interested in making the nuclear lobby happy than in making smart energy choices for the people of Ontario. Ontario is currently selling excess electricity at a loss. Ontario's total electricity exports (22.6 billion kWh) exceeded the total output of the Pickering Nuclear Station (22.6 billion kWh) in 2015. Ontario's peak hour demand for electricity has declined by 17 per cent in the past decade. Even if electricity demand goes up because of the Ontario's efforts to electrify the transportation system, Ontario can purchase electricity from other sources at a lower cost. We live next door to the world's fourth largest producer of water power -- Quebec. Quebec has a large and growing supply of water power available for export. On average, Quebec water power sells at one third the price of power from Pickering. Why not use this low cost source of clean power to meet possible increases in demand and to cover gaps from the anticipated temporary shut down of the Darlington Nuclear Station? Ontario can also do more to stretch our energy dollars by investing in energy efficiency measures. The cheapest source of energy is the energy we save. According to the Independent Electricity System Operator (IESO), large industrial energy efficiency programs save electricity at an average cost of 1.5 cents per kWh. Residential, commercial and small industrial energy efficiency programs save electricity at an average cost of 3.5 cents per kWh -- far below OPG's estimate cost of power from Pickering of around nine cents per kWh. The Liberals seem more interested in making the nuclear lobby happy than in making smart energy choices for the people of Ontario. And while I understand why the nuclear lobby would fight to protect jobs at Pickering, I believe the Liberal government has a responsibility to make energy decisions that benefit all the people of Ontario even if it means cancelling their $100,000 dinners with the premier. 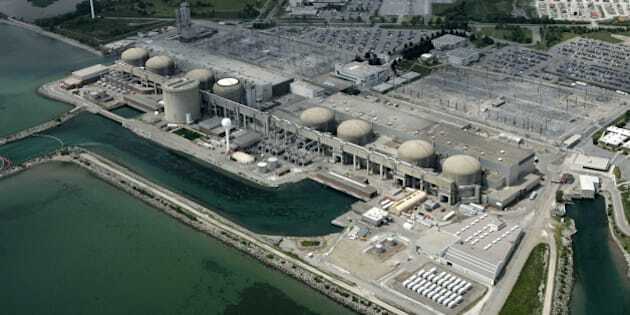 Moreover, what if we could convert operating jobs at Pickering into jobs decommissioning Pickering--making the area safer for residents while establishing Ontario's expertise in the decommissioning of nuclear plants. Doing this would create 16,000 person years of employment according to a study by Torrie Smith Associates. This could establish Ontario's global expertise in decommissioning nuclear plants. With a number of nuclear plants around the world reaching their best before dates, Ontario nuclear workers could benefit from becoming the global experts in shutting down nuclear plants. The Liberals have a choice to make -- give the nuclear lobby what it wants or provide the people of Ontario with an affordable, clean electricity supply; a supply that doesn't include an old and aging Pickering Nuclear Station that is well past its best before date.